Foot Locker Foot Locker Markdowns: Men's adidas NMD R2 $150, Women's Nike Air Max Thea $90, Kids' PUMA Uprise Knit $60 + More New Markdowns! 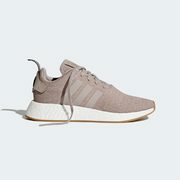 adidas NMD R2 $150 + More! There are over 2500 marked down items available for men, women and kids. Prices are as marked on product pages and we've listed some stylish sale selections to help get you started.